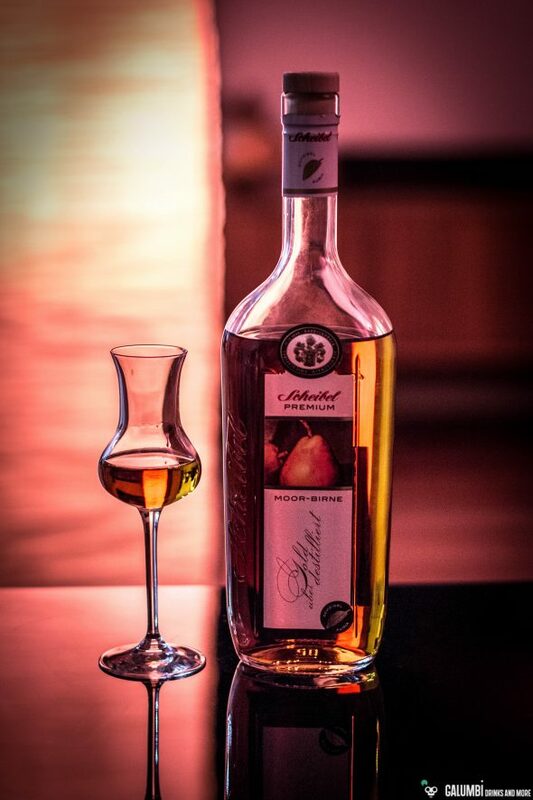 The Scheibel distillery from the Black Forest region in Germany is above all known for its high quality fruit brandies. Since 1921, the banner of traditional fruit distillates has been held up by the family company which is now led by Michael Scheibel. But also other, innovative and contemporary spirits (such as vodka, barrel-aged gin etc.) are produced there. 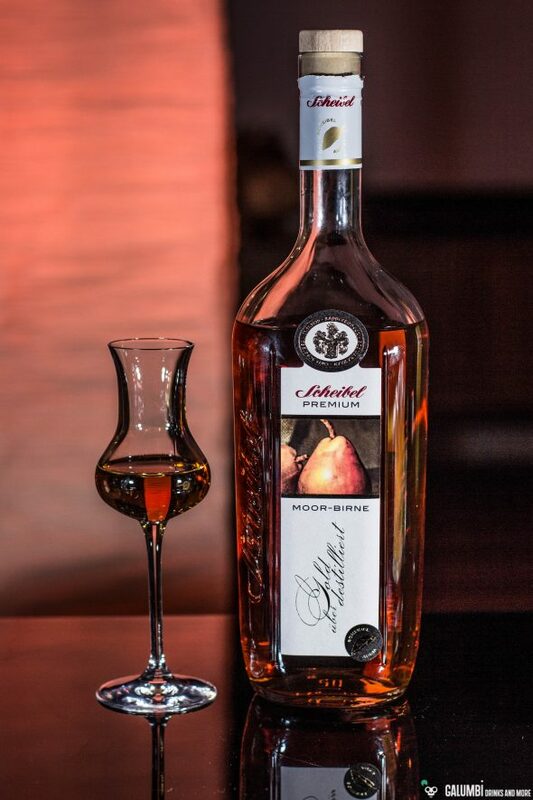 However, if you are a little interested in the world of spirits, you might have heard about a specific fruit brandy that has come to quite some fame in Germany in the recent year: Scheibel Moor-Birne. But what exactly is Moor-Birne (literally it translates into bog pear or moor pear)? 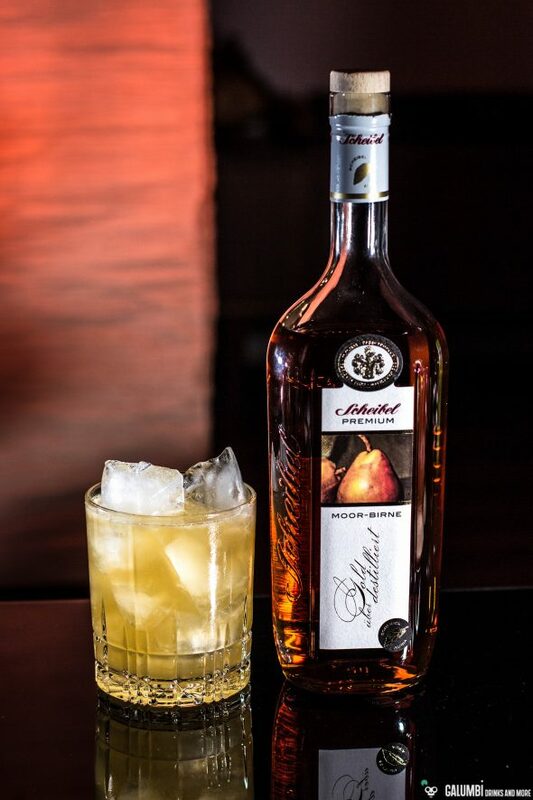 First of all, it is simply the name for one of the latest products from the range of the Scheibel distillery. Perhaps you may be tempted to imagine a certain botanical type of pear that was used as the base for a new pear brandy. But this is not the case here. The moor pear or bog pear is no existing botanical variety and you don’t have to unpack your gumboots in order to dig up for some pears in the wetlands. The background of the name is rather a different one, which is especially connected to the production process to this particular pear brandy. 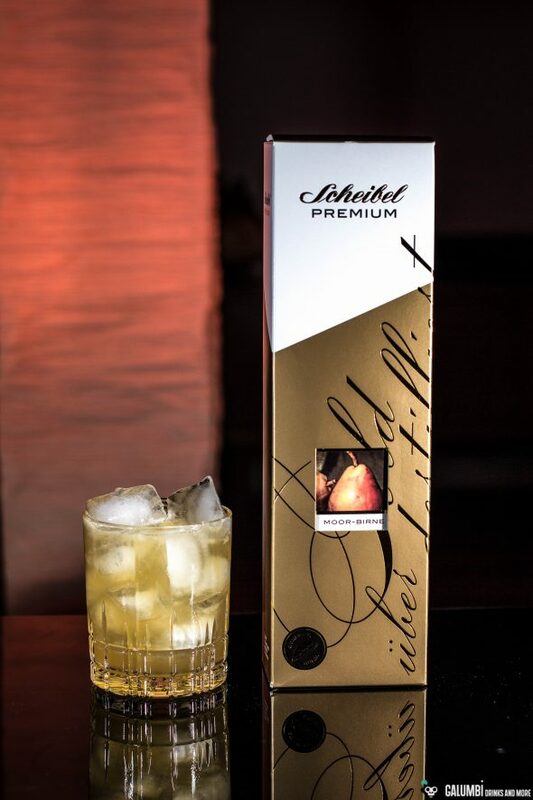 As with the traditional “Alte Pflümle” (a plum brandy made by Scheibel), for which Scheibel uses fruit extracts from dried plums, Michael Scheibel and his team had the idea to use dried pears for a pear brandy. After a long experimental phase, the Scheibel team chose the so called Speckbirne (also Steierische Weinmostbirne, I really don’t know the English word for that particular type of pear) and used it in a dehydrated form. The dried pears are mixed with clear pear brandy and allowed to infuse the brandy. The infused pear brandy is then filled into toasted oak barrels and after the maturation process it is again blended with clear pear brandy and bottled. The flavor produced during this process is said to show traces of peaty smoke, which ultimately led to the final name of the distillate: Moor-Birne. To what extent this can be compared to peaty whiskies, I will try to find out during the tasting. I must confess that the Scheibel Moor-Birne became first known to me by following the blog of Hamburg bartender Jörg Meyer. He brought a bottle of it to his bar, the Le Lion, and tried to mix it as a variant of the Williams Sour. The final result was then called MoBi Sour and is now a permanent entry on the menu. And because this cocktail is somehow closely linked to the spirit, I chose to directly mix a MoBi Sour and to include the recipe in this article after the tasting. The Scheibel Moor-Birne is bottled at 40% ABV. and costs between 30 and 40 Euros (700ml). 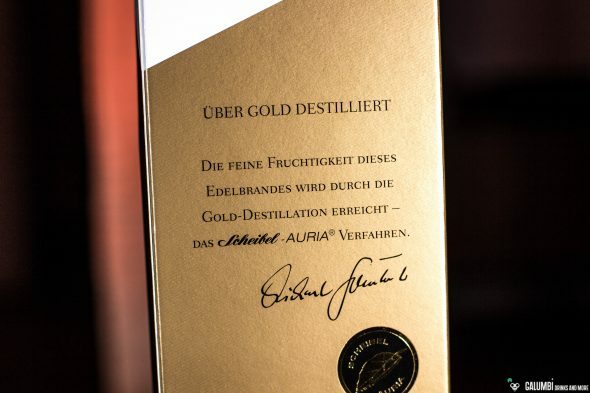 Well, there is one more thing: The manufacturer speaks about the special Scheibel Auria process on the packaging: The distillery Scheibel has built 22-carat gold plates into one of its new stills and the basic pear brandy for the Moor-Birne was distilled on that particular still. According to the manufacturer, this leads to a particularly filigree and multi-faceted brandy. I really cannot say whether this has an actual effect or not. I’m just accepting the information, raise my glass to the responsible marketing department and will finally concentrate on what the Scheibel Moor-Birne has to offer me. Aroma: On the nose, the Moor-Birne lives up to its name: it’s a very aromatic first impression that awaits you with overripe pear, autumn leaves, very subtle smoke, honey, vanilla and spices (cinnamon and an idea of cloves). An incredibly full and deep impression for a pear brandy. From time to time I had some associations of Speyside whiskys coming to my mind, which is probably due to the additional oak notes. The smokiness of the Moor-Birne is in no way comparable to that of an Islay whisky, but rather with a very lightly peated and flowery Speyside whisky (if you want to compare it to a whisky). Taste: A very nice depth with full-aromatic pear, caramel, spices, some oak and again vanilla and honey. Above all there is a very subtle smoke fondling the palate. Finish: medium to long with spices, pear and some oak. A marvelous pear brandy. 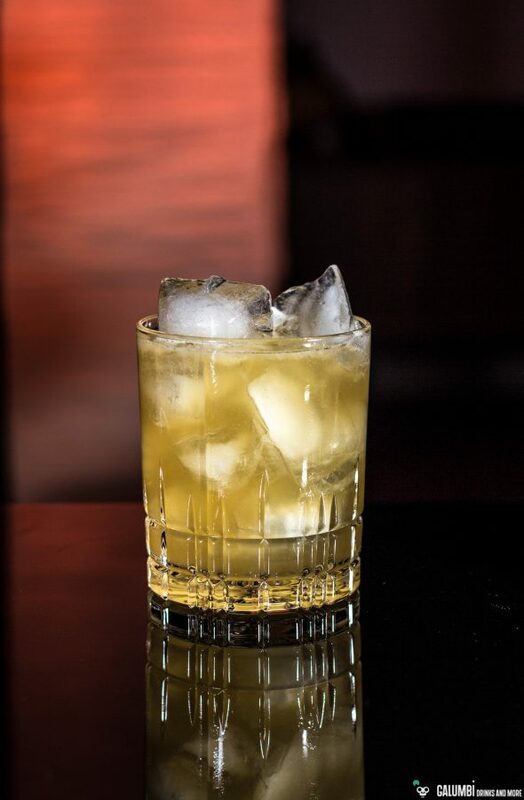 Preparation: Shake all the ingredients vigorously with ice cubes and strain into the glass filled with fresh ice cubes. In the MoBi Sour the Scheibel Moor-Birne shows a more fresh aspect of its character. While having it neat is a more autumnal experience, it also works great in this skillfully mixed all-year cocktail. The freshness of the lemon bestows a very nice accent upon the drink, but without completely overwhelming the depth of the Moor-Birne. No wonder that drink is selling good at Le Lion, Hamburg.